Get To Know Our Team! Each member of the Tom Daniel Fine Art team works hard to ensure that you have the best possible experience with our site. 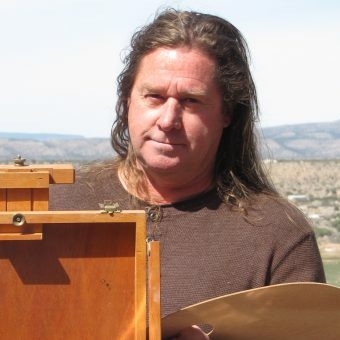 For more than a half century, Tom Daniel has painted a wide variety of subject matter - primarily in water color media - and for the past decade, oils as well - in his dream studio in Kanab. 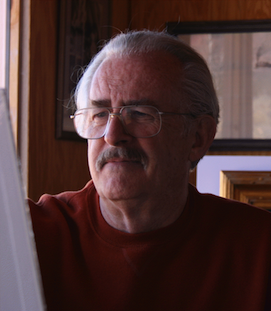 Work is progressing on his all-new on-line ‘Tom Daniel Fine Art Gallery’ which will hopefully be up and running in the near future. Kelly Daniel (b.1959) is a fine artist and one of the top graphic designers in the U.S. Kelly has a great eye for color and is responsible for making all large format giclee prints of images in the Tom Daniel Fine Art Gallery. Jeremy Burlison is a website developer/marketing specialist as well as the owner of PBSA.